We are also happy to offer you a wide variety of Minnesota Hardy Perennials. We have shady, sunny, and climbing perennials. These are offered in 18 count. *We can custom grow them in 32 count as a Special Order. 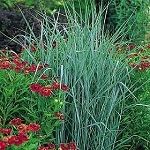 The 32-count perennials and herbs are now special order items and please order by (March 1). Immediate sales of the 18 count perennials – Each pot is labeled for individual sales. Double your money by putting these plants directly into the sales area. We have a great selection of reasonably priced perennials for your customers. Run “full flat specials” for those who wish to start or fill a perennial bed. Move in to one gallon pots. In about four weeks you can have a sale-able perennial from an 18-count plant. Again, each plant is tagged. All you need are one gallon pots and soil. Any plants remaining from your 18 count pots can be moved into one gallon containers for summer or fall sales. Many of these perennials bloom the first season.